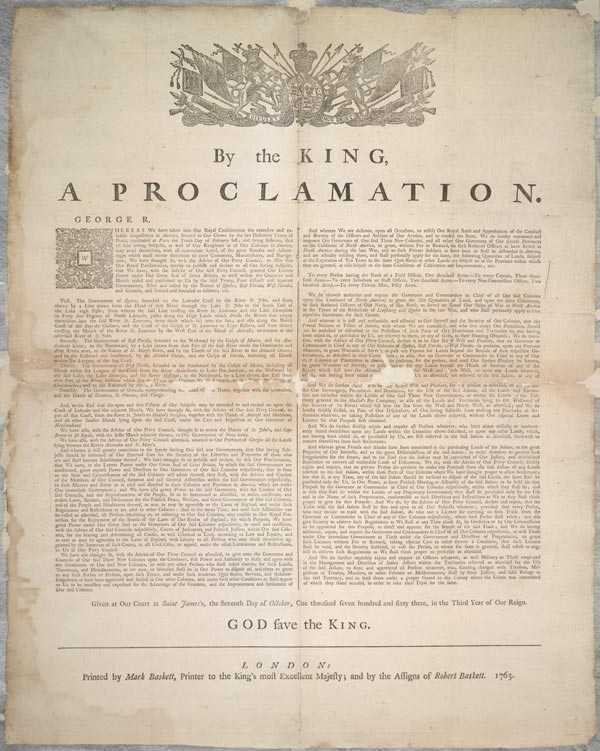 The Proclamation of 1763 was issued by the British Board of Trade under King George III of England after the French and Indian War in order to accomplish several main goals. The goals were to establish governments for their new territories gained after the war, to encourage peace between colonists and remaining Indians tribes and to keep colonists confined to the coasts for purposes of easier taxation and trade with the mother country. The act infuriated colonists who saw the vast new territory between the Appalachians and the Mississippi as theirs for the taking. This act, along with others, such as the Molasses Act, the Sugar Act, the Currency Act and the Stamp Act encouraged the anti-British attitude that eventually culminated in the American Revolutionary War. Learn more about the purpose and effects of the Proclamation of 1763 below. At the end of the French and Indian War, Great Britain was faced with the problem of ruling over a vast new territory in North America. The French and their Indian allies lost the war, and in the Treaty of Paris of 1763, ceded all lands in North America from the Appalachians to the Mississippi over to Great Britain. The task of governing this vast territory presented many problems to Great Britain, mostly because much of the new territory was far from any existing government authority structures and because of the large Indian population that remained. The British government was faced with several problems. The Indians, in general, got along better with the French, who were now forced to abandon North America, except for a few islands in the Caribbean. Many of these tribes were hostile to British settlers who would undoubtedly try to begin settling this vast new frontier. The problem was made very evident as tribes around the Great Lakes began to unite under Ottawa Chief Pontiac and stage attacks on British outposts and settlements in the area. Pontiac was so successful that his armies took back every single British fort north of the Ohio River except for Detroit and Fort Pitt (Pittsburgh). Hundreds of British soldiers and settlers were killed or tortured. 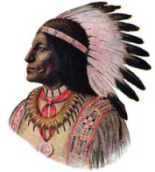 Pontiac's War lasted a few years until several peace treaties were signed with the Indians. The Proclamation of 1763 had several main purposes. It established the boundaries of four new colonies and their governments, which were called Quebec, West Florida, East Florida and Grenada. It also established a line, known as the Proclamation Line, that divided British ruled territory between British settlers and Indians. Settlers could live only on one side and Indians could live only on the other. 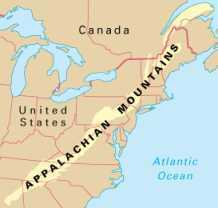 The line of demarcation was the crest of the Appalachian Mountains that runs down the eastern portion of North America. British settlers were not allowed to settle across the line in Indian territory and any British settlers already in that territory were ordered to abandon their claims and return back across the line. There were several reasons the government created the Proclamation Line, most of which were strictly economic. British settlers in the colonies along the coast had an insatiable appetite for more land. Much of the coastal area was already settled and new arrivals and high birthrates were increasing the population. They needed room to expand. The settlers had spent a lot of blood and money during the war in order to drive out France and take over its land. Now that the war was over, they were ready to claim their prize - the rich frontier that lay over the mountains, all the way to the Mississippi. The Indians had the exact opposite feeling. Their French allies, with whom they had coexisted for years, were defeated and forced from the North American mainland. The Indians knew that the British settlers would come in droves and try to take over their land, just as they had done on the eastern side of the mountains. These Indian tribes immediately began to rebel and try to harass and scare any settlers and soldiers out of the region. The British government was also facing a huge debt from the war and wanted to avoid any further conflict with the Indians. Financing soldiers with supplies, ammunition and food cost an enormous amount of money. The administration of Prime Minister John Stuart, the Earl of Bute, placed 10,000 soldiers along the frontier to help provide security to the already populated colonies. His replacement, Prime Minister George Grenville passed a series of acts in order to raise revenue from the colonists, expecting them to help finance their own security. Grenville's economic plan included the passage of the Currency Act, the Sugar Act and the Stamp Act. All of which were designed to get better control over the colonial financial and trading systems in order to reduce the national debt and pay for the remaining troops. The colonists did not object to the idea of helping pay for their own security, but they objected strongly to the government's tactics in taxing them. The conflict that erupted with passage of these Acts, along with the earlier passed Molasses Act, eventually led to the American Revolution. In addition to these reasons, Lord Bute and after him, Lord Grenville, had another purpose in leaving so many troops in the colonies, even though the French and Indian War had come to an end. Most military officers were well connected British landowners, nobility and politicians, or were sons of these influential people. With the war over, all of these well connected officers would be out of a job and would be sent home to England. Serving in the military was considered to be an important stepping stone in one's career for the well connected and influential. All these sons of wealthy landowners and politicians would suddenly have their career progress stunted if there was nowhere for them to serve, and their influential fathers, who were England's most powerful politicians, judges, lawyers and nobles, would take out their wrath on the government. Since standing armies were frowned on in England because of the history of past wars, the Prime Ministers needed some other way to provide career advancement opportunities to the sons of the nobility. Placing thousands of soldiers in America, ostensibly to "guard" the colonists from Indians on the new frontier, was the perfect excuse. "And We do further declare it to be Our Royal Will and Pleasure, for the present as aforesaid, to reserve under our Sovereignty, Protection, and Dominion, for the use of the said Indians, all the Lands and Territories not included within the Limits of Our said Three new Governments, or within the Limits of the Territory granted to the Hudson's Bay Company, as also all the Lands and Territories lying to the Westward of the Sources of the Rivers which fall into the Sea from the West and North West as aforesaid." 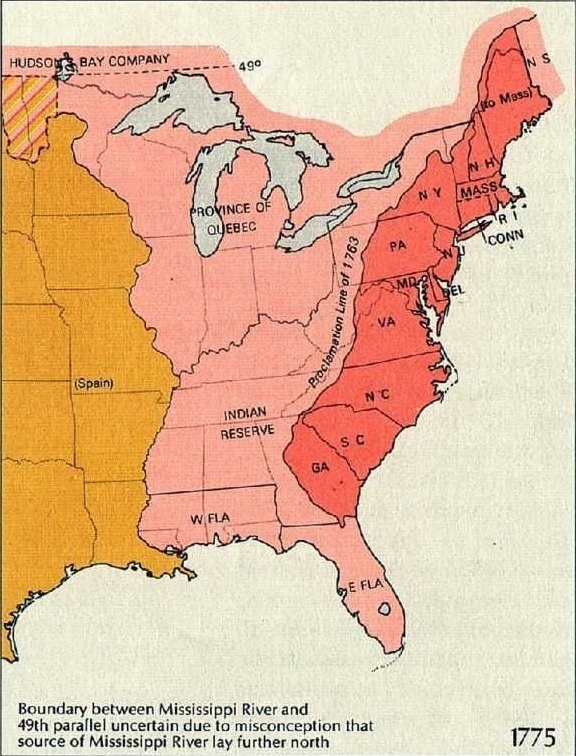 We would describe this today as all the land between the Mississippi and the Appalachians and between Canada and Florida, that was not part of the new territories of Florida and Quebec or the land given to the Hudson's Bay Company (in Canada). The dividing line on the Appalachians was the highest point of the mountains. The land surrounding rivers that flowed east toward the Atlantic was reserved for the settlers and the land surrounding the rivers that flowed west toward the Mississippi was reserved for the Indians. The British government tried to reduce conflict between Indians and settlers by physically separating them, but the Proclamation of 1763 also forbade settlers from buying any land from the Indians. Private deals between settlers and Indians had been a source of great conflict in the past and could easily turn bloody. Instead, the act required that all land deals with Indians be made with Royal Governors in the name of the government and at a meeting held strictly for that purpose. All of this was done in order to remove mistrust and the potential for settlers to abuse and take advantage of the Indians so the Indians would trust the British and not want to fight with them. The Proclamation of 1763 also established awards of land to soldiers who fought in the French and Indian War and forbade settlers from buying Indian land or trading with Indians. Only government officials could buy land for the Crown and trading with Indians could be done only with a special government license. All this was done to limit interactions that could become contentious between settlers and Indians. The Proclamation of 1763 also established that the land reserved for the Indians was still British owned land, but was to be governed by Indian law. Britain did not actually intend to ever completely cede this land to the Indians, but knew it would take many decades to be able to build up enough government structures to effectively govern such a vast wilderness. Much of the area was far removed from any English law authorities or settlements. Instead, the British believed they could gradually encroach upon the territory and spread their influence over the years. In the meantime, they would allow the Indians to rule in their own manner, making them happy and pushing conflict with them down the road. The Proclamation of 1763, did however, allow British authorities to chase lawbreakers into Indian held territory and return them to British held areas for trial. Finally, the Proclamation of 1763 forbade individuals from engaging in trade with the Indians. This was another source of potential conflict. In the past, trade deals had gone sour and the Indians often ended up getting the raw end of the deal, causing great mistrust amongst the Indians toward the British, so the government was trying to eliminate this source of conflict. Instead, only government licensed individuals could trade with the Indians under regulated conditions. The British did have another motive in establishing the Proclamation Line. It served to keep the colonists confined to the coastal areas. This allowed the British to keep the population in areas that it was able to physically govern, tax and regulate. If colonists moved in large droves into the interior of the continent, the government would have had to expend an enormous amount of money to spread its offices and regulators after them. Customs offices, tax collectors, judges, governors, etc. would have to be hired and supplied and transported to the interior. Offices would have to be built in which to conduct their work. It would take decades before this could be accomplished. In addition, as settlers moved to the interior, they would move out of the reach of British tax collecting authorities. Large sums of revenue, which would have been gathered from taxing their activities, would be lost. Keeping the colonists along the coasts would keep them within reach of tax collecting authorities. Their trade could easily be taxed and regulated. Their trade could also be directed back to Great Britain. If colonists moved to the interior, much of their trade would be conducted locally and not with the larger British Empire. Local produce would be consumed locally and traded locally and there would be far less opportunity for importing goods from England. By keeping the colonists along the coastal tradeways, Britain would be keeping a large market for its products in a convenient place and it would be easier to export their local produce and import British made goods. One of the main effects of the Proclamation of 1763 was resentment in the colonists toward the mother country. The colonists saw the vast territory between the Appalachians and the Mississippi as their rightful prize after fighting to eject the French from its bountiful rivers, forests and farmlands. The British government was now trying to hold them back from the very land they had fought and died for and for which they had spent enormous sums of money supplying soldiers and supplies. Many colonists simply ignored the Proclamation Line. They moved across the mountains anyway. 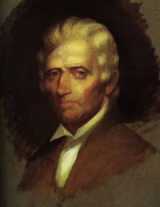 One famous settler from the time period, of whom you may have heard, was Daniel Boone. Boone was an avid outdoorsman who lived in North Carolina and hunted and traveled often into Kentucky, which was on the Indian side of the Proclamation Line. Boone and his family eventually moved across the line into Kentucky and he spent many years leading settlers across the mountains into Indian held territory. As the British suspected, the Indians didn't like it and one of Boone's sons was killed in a Shawnee attack. Boone had many Indian friends, however, and generally got along with them, so he did not hold all Indians to account for the death of his son. The Proclamation Line did however, work to some extent. Many settlers moved back across the line to the east and others did not move west as they intended. The restrictions on trade kept settlers and Indians apart in many areas. There were conflicts. Some settlers did move into Indian held territory and some Indians did assault settlers and soldiers, but the effect of the line was to reduce this conflict as much as could be expected. Of course the British never intended to leave the Indians in control of such a vast and rich land forever. Over time, treaties were made with the Indians ceding various parts of the land to the colonies and the British authorities were constantly making exceptions for the well connected in Britain and in the colonies to take over land in the Indian territory. Eventually the entire territory was ceded by Great Britain to the United States in 1783, after the end of the Revolutionary War. Establish the boundaries and governments of four new colonies; Quebec, West Florida, East Florida and Grenada. To separate settler populations from Indian populations in order to reduce conflict and the potential for another costly war. To gain the trust of Indian tribes in the new territory by preventing settlers from taking advantage of them. To confine settlers along the coast in order to more effectively govern and tax them. The vast interior would not be governable by the British for many years to come. To confine settlers along the coast in order to facilitate trade between them and England more easily. To prevent settlers from moving inland, out of the reach of British authorities and tax collectors. To prevent settlers from trading with the Indians or buying land from them, in order to reduce conflict with them. To provide positions for the wealthy and connected to serve in the military. Created the colonies of Quebec, East Florida, West Florida and Grenada, establishing their governments and boundaries. Established the Proclamation Line, a line extending down the crest of the Appalachians that divided settler territory from Indian territory. Settlers were forbidden from trading with Indians in order to reduce conflict. Only regulated traders licensed with the government could trade with Indians. Settlers were forbidden from buying Indian lands privately. Indian lands could only be bought for the government at the direction of Royal Governors at meetings appointed by them solely for the purpose. Made land grants within the conquered territory to soldiers who fought in the French and Indian War. Declared that Indian law would rule the Indian held territory. Allowed British authorities to chase lawbreakers into Indian held territory to bring them back to British territory for trial. Caused great resentment in the colonists toward Great Britain. They wanted to settle the vast new territory claimed after the French and Indian War and the proclamation prevented them from doing that. Helped prevent conflict between settlers and Indians by keeping them apart and from interacting with one another. Indians were pleased that they could govern their own territory and settlers would not be encroaching upon them. Many settlers obeyed the Proclamation of 1763 and stayed in their designated areas, reducing conflict with Indians. There was still conflict between settlers and Indians in various areas. Some settlers moved into the Indian held territory in direct violation of the Proclamation, but the Proclamation probably reduced the amount of conflict that would have occurred without its passage. You can read the entire text of the Proclamation of 1763 here. 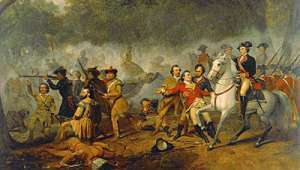 This article is one of a chronological series of articles that explain the causes of the Revolutionary War. Follow the links to read about the preceding and following events leading up to the American Revolution.